Reparto: Carey Mulligan, Justin Timberlake, Garrett Hedlund, John Goodman, Oscar Isaac, Adam Driver, F. Murray Abraham, Max Casella, Ethan Phillips, Stark Sands, Alex Karpovsky, Jake Ryan, Jerry Grayson, Mike Houston, Steve Routman. Producción: Ethan Coen, Joel Coen y Scott Rudin. 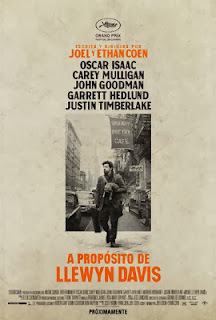 Montaje: Ethan Coen y Joel Coen. Productoras: Mike Zoss Productions, Scott Rudin Productions y StudioCanal.